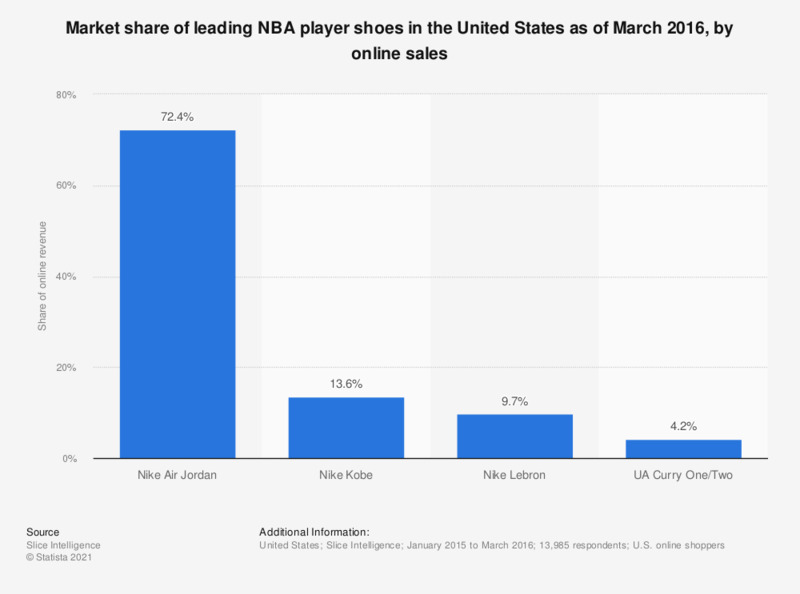 This statistic gives information on the top four select NBA player shoes in the United States in 2016, by online revenue. During the survey period, it was found that Nike's Air Jordan shoes were the most popular player branded sneakers purchased online. With 13.6 percent of total online sales among leading sneakers, the Nike Kobe comes in second.